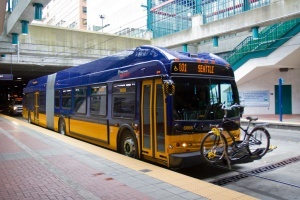 King County Metro (also known as Metro Transit) is a transit system covering King County, including the cities of Seattle, Bellevue, Redmond, Kirkland, Renton, Kent, and Auburn. It operates a network of local and express buses. King County Metro connects with Central Link Light Rail, Sounder, Seattle Streetcar, Monorail, and Washington State Ferries. It also connects with the regional Sound Transit and neighboring bus systems such as Community Transit, and Pierce Transit.